Let’s face it. Traditional pumpkin pie is in the “if it’s not broke, don’t fix it” category. Every Thanksgiving I embark on yet another futile effort to find THE pumpkin pie. You know where it is? On the back on the Libby’s pumpkin can. Sure, go ahead and roast your own pumpkin or get all fancy by turning it into something with streusel or liquor but we all know deep down that the recipe has been written. 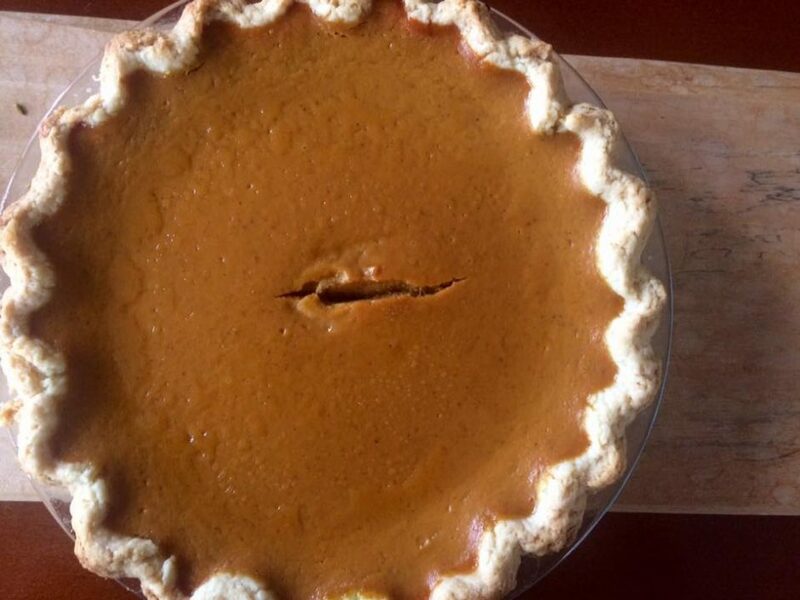 Not one to let Libby’s completely hand me my marching orders, I can’t help but make a couple of tiny adjustments to my pumpkin pie. My most recent change was a happy accident from being out of ground ginger – the addition of fresh grated ginger root. I also add a 1/4 teaspoon of cardamom instead of the cloves because in case you have not heard me say it before, CARDAMOM IS THE MOST UNDERRATED SPICE. Finally, I cut back on the granulated sugar and add 1/4 cup brown sugar to deepen the flavor a bit. If you just can’t let go of your need to change up pumpkin pie, you can also experiment with different variations of fresh whipped cream topping. I add fresh grated ginger and lightly sweeten with maple syrup and vanilla extract. You can set aside regular whipped cream for your guests that are less adventurous, then turn the other half into something unexpected. Fresh ginger, maple syrup, spices like cinnamon or cardamom, liquor like dark rum or bourbon, extracts, orange zest…there is no limit! This recipe is adapted from Libby’s with the changes mentioned above. I co-adapted this recipe with my friend, Abra, from She Said Celebrate. She asked me to teach her how to make pumpkin pie for Thanksgiving, so we spent a fun day collaborating in the kitchen making two pumpkin pies – this traditional one and Dori Greenspan’s Caramel Pumpkin Pie. If there is one variation of the traditional that is worth making, it’s Dori’s. More importantly, if you have never heard of Dori Greenspan, I order you to get Baking From My Home to Yours, immediately. It’s the only baking cookbook you need if you ask me. Working with Abra and making pie together was the exact right way to kick off the Thanksgiving season. It was a great reminder that Pie Eyed is less about the food itself and more about the relationships I am able to deepen and acquire through pie. I first met Abra a few years ago when I hosted a pie making day with kids from an organization she was working at. It took a few years, but pie brought us back together again. Proof that building one connection at a time through pie opens up possibilities even years later! 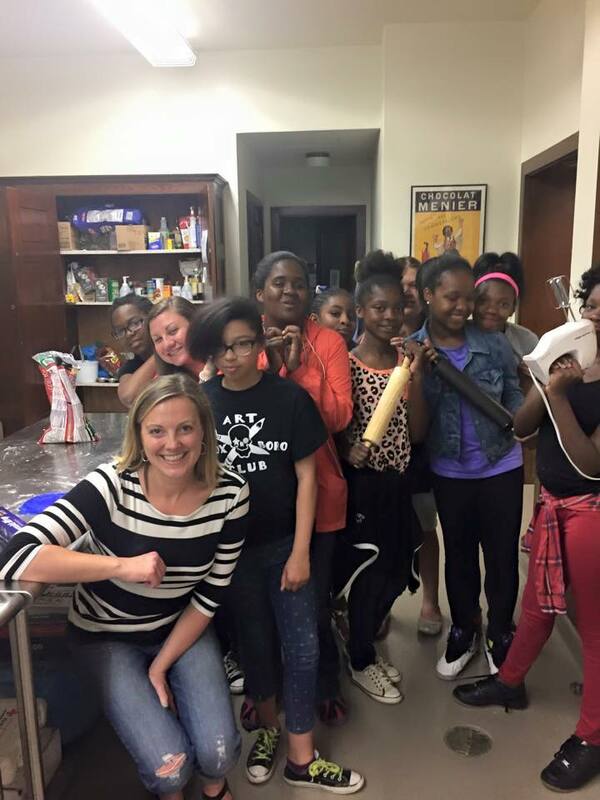 That’s me…smiling through my fear that I was making pie with like 15 teenagers. You can take a look at Abra’s first pie making endeavor on her latest blog post here. Whatever your Thanksgiving plans may be, I encourage you to carve out time to make food with someone. The experiences you have together will outlast the Thanksgiving leftovers and give you memories that will truly be something to be grateful for. Prepare pie crust according to directions, roll and plate. Place pie crust back into refrigerator while you make the filling. In a small bowl, mix sugars, grated ginger, salt and spices together. In a medium bowl, beat eggs well. Stir in pumpkin. Combine sugar/spice mixture into the pumpkin mixture and blend well. Gently stir in evaporated milk until combined. Pour mixture into prepared pie crust, making sure to eliminate any air bubbles that form. Bake at 425 for 15 minutes, then lower temperature to 350 and bake for another 30-35 minutes or until the middle is just set. Let cool for at least two hours before serving. If not serving right away, cover lightly with plastic wrap and store in refrigerator. © 2019 Pie Eyed Love. All rights reserved.